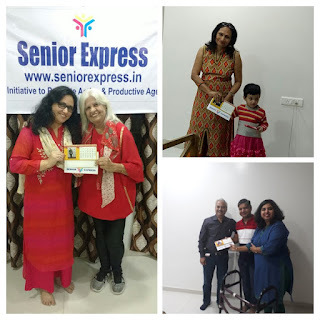 On 9th December 2017 we celebrated Senior Express’s (www.seniorexpress.in) first anniversary with our well-wishers and contributors belonging to different generations. On this occasion our founder Dr. Nidhi Mishra shared our one year journey with the group along with the upcoming projects. 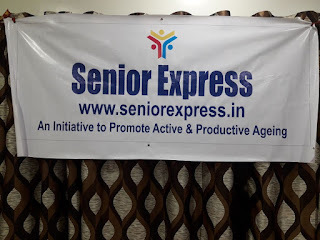 During last one year we focused on our mission of promoting active ageing and negating myths about ageing by sharing inspiring stories of people across India belonging to age group 60+ to 80+ years and are leading active life (http://seniorexpress.in/my-story/). We were also engaged in our mission of strengthening inter-generational bonding by encouraging people across different generations to write and share their views and ideas about different topics related to ageing on our forum (http://seniorexpress.in/forums-2/) and by conducting sessions on building inter-generational bonding and sensitizing the youth about issues related to old age. 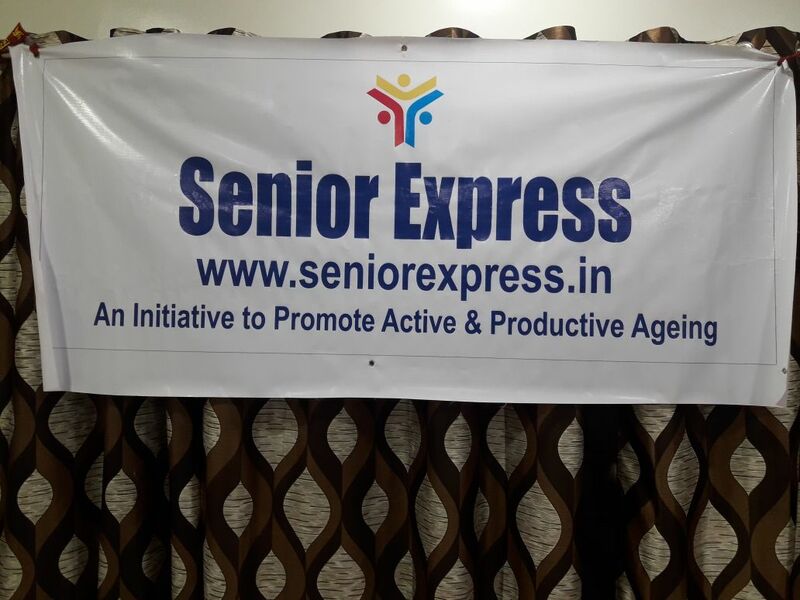 As Senior Express enters in its second year we are in the process of launching our two innovative projects focusing on our mission of promoting active ageing by highlighting the creative expressions of seniors and by building inter-generational bonding across different generations. 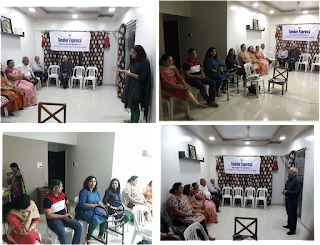 Later, we organised a semi formal discussion on concerns related to healthy living and ways to promote positive living with our contributors and collaborators, professionals and experts working in the area of Yoga & Meditation, Pranik Healing, NLP (Neuro Linguistic Programming) Training, Motivational Speaking, Health & Fitness, Information Technology, Digital Marketing, Performing & Visual Arts. 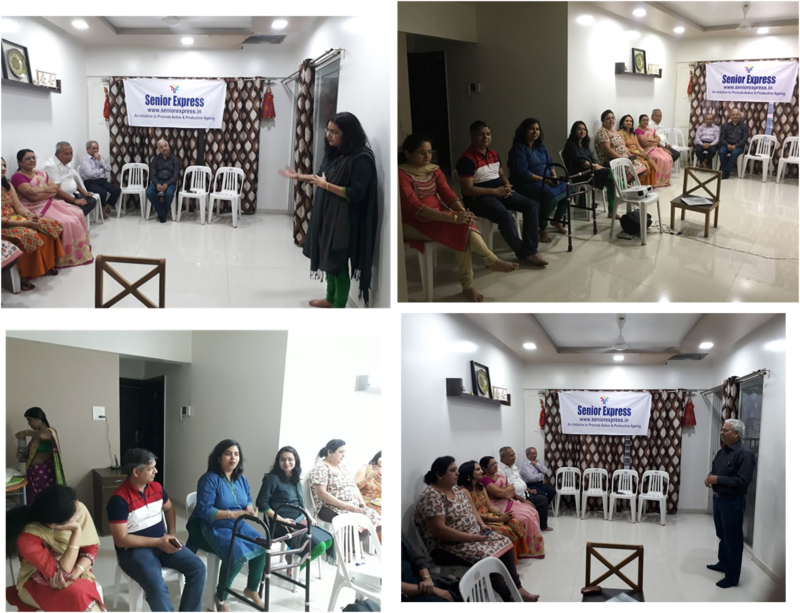 It was a productive discussion where the group members shared their views and ideas related to the topic based on their personal and professional experiences. On this occasion we designed a table calendar which is a small tribute to all our valued contributors who have shared their inspiring stories with us and have thus helped us in promoting active ageing in India. In the end of the session we felicitated some of our contributors who managed to attend the function by gifting them those calendar in which they are featured along with a brief write-up on them. 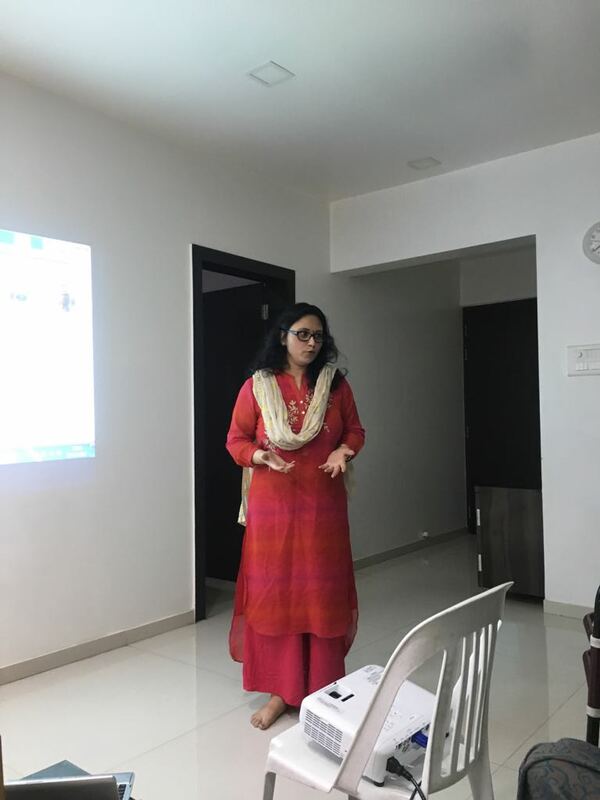 One of our contributors Ms. Primla Hingorani, a 72+ marathon runner, came all the way from Mumbai to attend our programme in Pune. Mr. & Mrs. Gandhi from Pune who are not only a perfect example of active ageing but also an ideal couple and an inspiration for many were felicitated by our youngest team member Avni (2+ years). We missed the presence of Mr. Gandhi as he couldn’t attend the programme due to prior commitment. Mr. Bansal, a retired staff officer (Grade A) from Reserve Bank of India and a true poet at heart couldn’t attend the programme as he is travelling right now. In his absence his youngest son Ashish and daughter-in-law Mouli came to receive the calendar out of their love and respect for their father which was given by our mentor and well-wisher Mr. Ramesh Sood, who is a popular NLP training and a Happiness Coach. 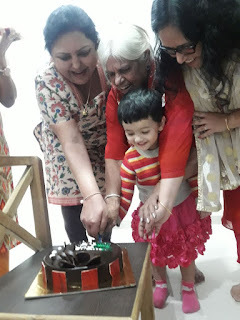 Any anniversary celebration is incomplete without cake cutting so together we did that along with taking a pledge to build inter-generational bonding. We missed all our contributors and well-wishers across India who were not able to attend the programme. We are very thankful to each of them for being a part of our journey and in helping Senior Express in realizing its potential. We pray for their good health and look forward to their active contribution in coming years.